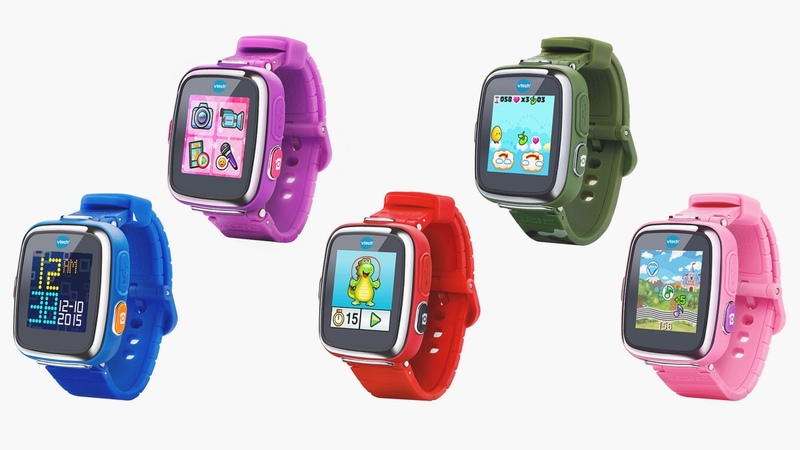 VTech, master of connected kids' toys, is back for its second stab at the smartwatch market with the Kidizoom DX, the follow up to 2014's original. This time around there's a bump in tech specs, offering double the memory to users, who are now able to save sharper, brighter images in bigger bulk. Double the internal storage of the original Kidizoom means there's now room for 1,600 images or 23 minutes of video. As well as the camera skills, the Kidizoom DX packs 11 pre-installed apps and games, and more are on offer from VTech's Learning Lodge. The watch is designed to educate, as well as entertain - kids will get assistance telling the time and there's a digital owl built in for help with maths challenges. In order to get kids active, the Kidizoom DX also packs motion sensors and a range of activity based challenges. "The new Kidizoom Smartwatch DX cements VTech's position as a leader in accessible and affordable kids' tech," said Chris Byrne, content director for TTPM. "With its sleek, on-trend design; rich, engaging, age-appropriate content, outstanding features and ease of use, we anticipate that this will be one of the most in-demand products for the 2015 holiday season for its target audience." Costing $64.99, the DX isn't exactly a wallet-buster and it comes in a range of colours for kids to choose from.